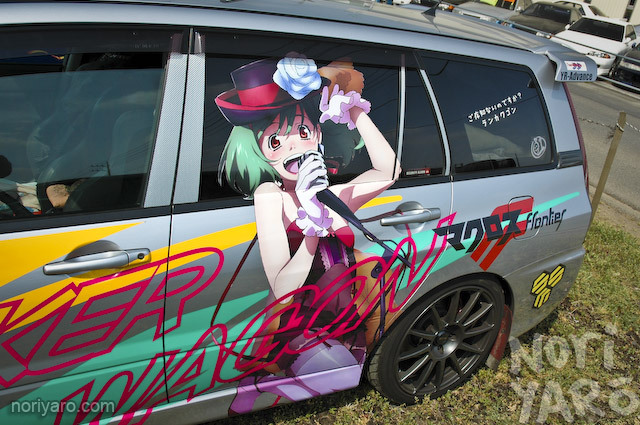 This particular Evo wagon is themed around Ranka Lee, one of the main characters in the recent Macross Frontier series that ran here in Japan last year. Most of you would know Macross as the Robotech series that ran on TV in the mid 1980s, since the Macross franchise has been running for decades in a similar way that Star Trek has. 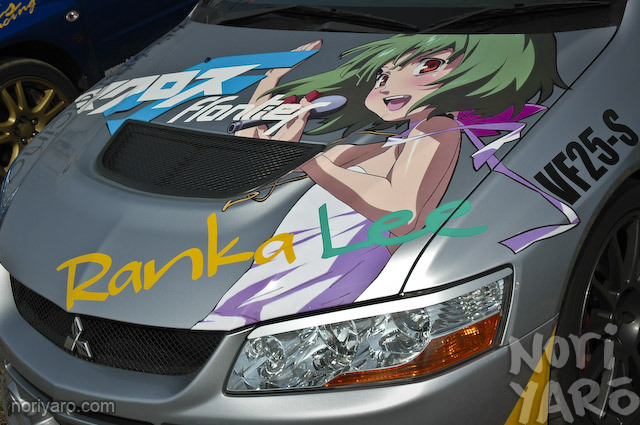 Youtube videos of Ranka here. More on the Subie beside the Evo Wagon please! There is so much going on with that car, hard to look at. 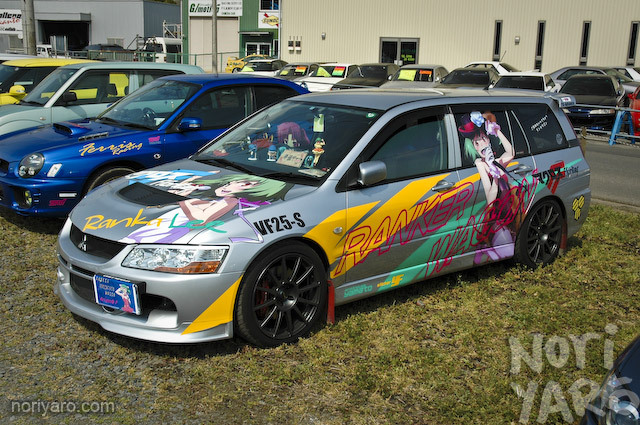 yea mitsu did make an evo wagon, there wern’t alot of em made, this livery ruins it…. 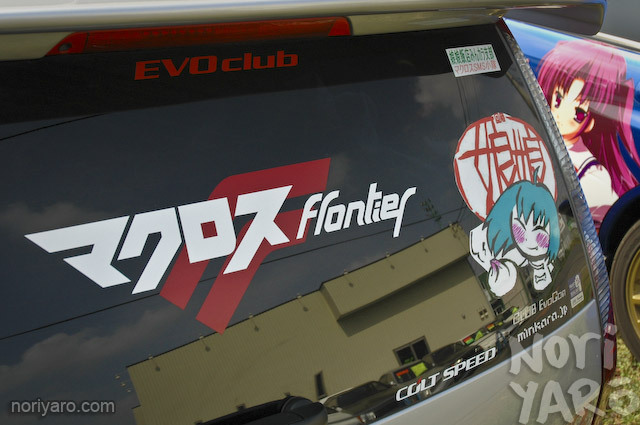 But JNC blog then posted something about itasha and it all connected. 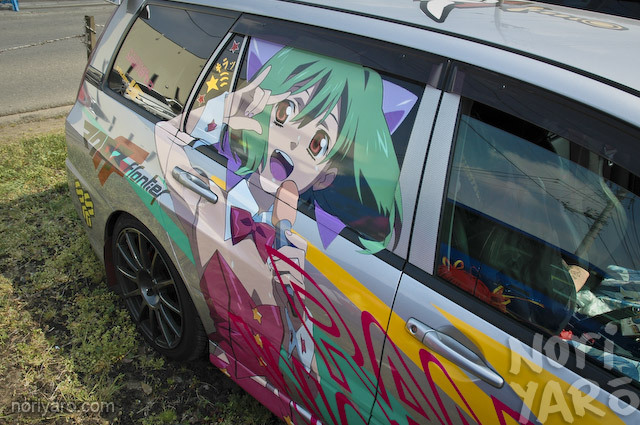 Somehow I really dig the itasha look on the outside but personally I wouldn’t drive a car with my favorite manga/anime on it. I guess its the same with the bosozku style (zokusha). This priceless work of art has left me speechless… Kudos to you my good Sir!